Introduced in England in 1902, having all the airs and graces of antiquities with it's very Persian look is delighting us with it's start of bloom today. Very easy to grow just plant and forget but please remember where you planted it as you could pull it out as a strange weed! 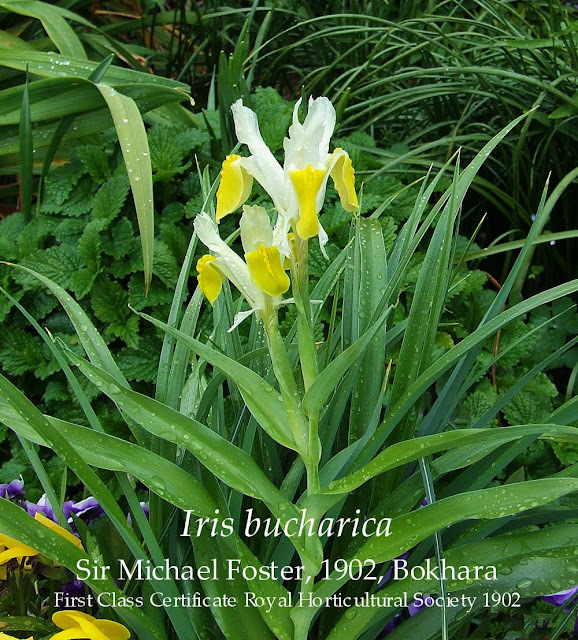 As a reference for your information I have copied below the expansive writings of Sir Michael Foster regarding these bulbs collected by others in Bokhara (the capital of the Bukhara Province,Uzbekistan) published in The Gardeners’ Chronicle 1902, the article is also noted as a source of information regarding the identification of Iris Bucharica in the American Iris Society Checklist of 1929. The Gardeners’ Chronicle, June 14th, 1902. NEW I R I S E S.
In the course of last year Messrs. Van Tubergen received from their collector in Bokhara a consignment of bulbs obviously belonging to the Juno group of Irises, collected in that country. They arrived in several numbered collections, presumably gathered from different spots; but on flowering proved to belong to two forms only, to which, for reasons given below, I have ventured to apply the above names. 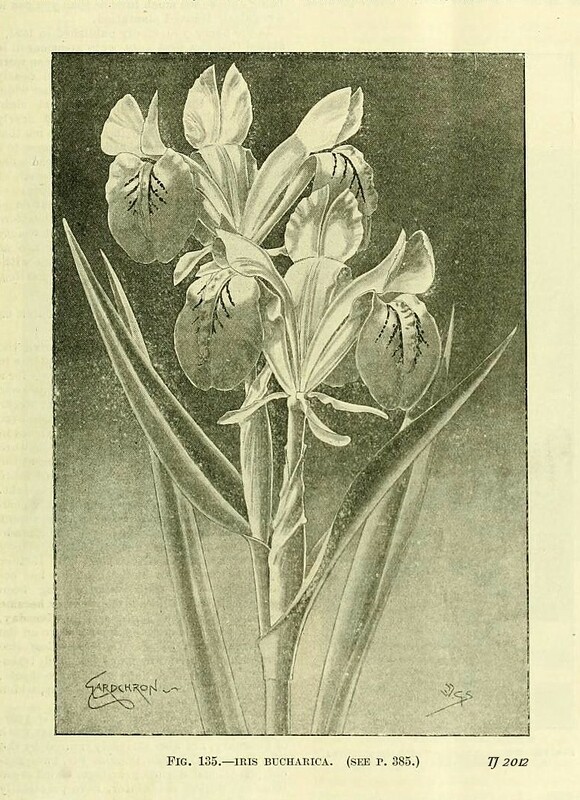 Iris Bucharica, Foster, sp. n.
Bulb similar to that of I. orchioides, but in the specimens received more globose. Stem, about 1 foot or 1½ foot high, bearing six or seven leaves, each of which sheathes the stem at its base, and three, four, or more flowers. So far the plant in its general features resembles I. orchioides, but the leaves are somewhat shorter and less gradually pointed, and more distinctly striated on the under surface. Moreover, while in I. orchioides each flower is set on a distinct peduncle, in this plant the peduncle is quite short, or the flower is actually sessile. The horny margin of the leaf bears, as in I. orchioides, a number of inconspicuous setæ. The plants are smaller, shorter, and more slender than those of I. orchioides, but this difference may disappear on further cultivation. Spathe valves, as in I. orchioides, longer than the tube, narrow, not inflated, slightly scarious at the tip. The outer petal, fall, consists of a strap- shaped claw, -which, after an inconspicuous constriction, expands into a much broader, obovate, emarginate blade, which bears on its hinder two-thirds a large plicate crest, continued along the claw as an inconspicuous median ridge. The claw is pare white in colour, the blade with the crest a rich golden yellow, which suddenly ceases where the blade joins the claw. By the side of the crest over the blade are a few diverging dark purple, almost black veins, varying in intensity in different flowers. Messrs. Van Tubergen inform me that some of the plants show variations in the markings. The inner petal, standard, small, pure white, extended horizontally, consists of a caniculate claw expanding into a broader, flat, distinctly mucronate blade. Styles large, pure white, with large white, quadrate, or in some plants deltoid crests. Anthers as long as, or slightly longer than the filament. Tube about three times as long as the rounded, trigonal, thin-walled ovary. Habitat, Eastern Bokhara, on mountain slopes, altitude 5000 to 6000 feet, on sides of river Sureh-ab, a tributary of the Amu Darya. The points of specific difference between this plant and I. orchioides lie in the flower. In I. orchioides the outer petal is simply strap-shaped, with no obvious distinction between claw and blade ; and the crest is less conspicuous. In I. orchioides the inner petal is lanceolate, and never, so far as I have seen, distinctly mucronate, as in the plant now described. In I. orchioides the crests of the style are smaller, and the anthers are apparently always shorter than the filaments. M. Foster, Shelford May 20, 1902. The Gardeners’ Chronicle, April 18th, 1903. I find that my description of Iris bucharica (Gardeners’ Chronicle June 14th 1902, p 385), I underated it's, at least possible, dimensions. I have now in flower a plant whose stem is 22 inches high ; the lower leaves are 1 foot long, and 2½ inches wide at the broadest part. It bears no less than 10 flowers and in the flower the outer petal (fall) is 2⅞ inches long, by 1½ inches at its broadest, whilst the style is 2¼ inches long by 1⅛ inches at its broadest. It is really a very fine plant. M. Foster, Shelford. bucharica. Jun-W (Foster 1902 Bokhara) Gardeners’ Chronicle 91 : 385. figure 387. 1902. Gardeners’ Chronicle 93 : 251 1903: Barr 1903 : Krelage & sons 1905 : 1913: Grullemans 1907 : Eddy Garden Service 1929 : F.C.C R.H.S. 8th April 1902, shown by Willmott ; BOKHARA I. As usual, clicking the above image will take you to the larger, higher resolution version. Now here is an iris I am looking forward to seeing it bloom again in the coming few weeks or so. Purchased one Sunday in May while meandering at the Masterton car boot sale I discovered for sale this "mystery iris" (the seller had no idea of its name). Of course I immediately purchased the rhizome with it's bloom stalk attached and rushed home to 'Solve the Mystery' of its name and take some photos of my 'find'. Let me tell you the taking the photos was the easy part. I was completely stumped with a name, so I enlisted the help of Keith Keppel who had this suggestion, "An unusual combination. 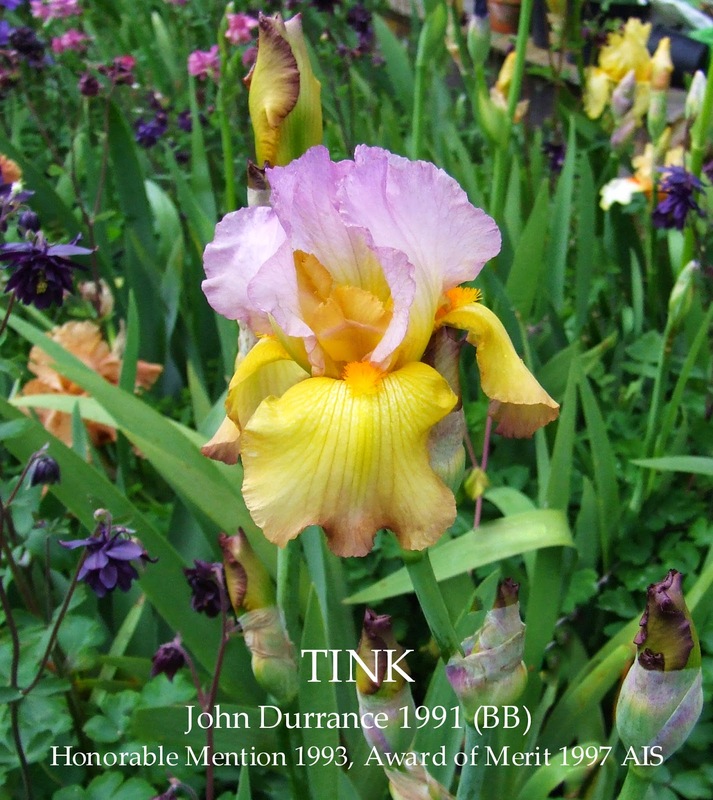 Do some research on the border bearded 'Tink' (Durrance '91). Your picture looks a bit too good for what I remember, and the falls a bit more apricot toned, but there are so few anywhere near. When 'Tink' came out, it was compared with the old Kleinsorge TB, 'Surprise Party'." 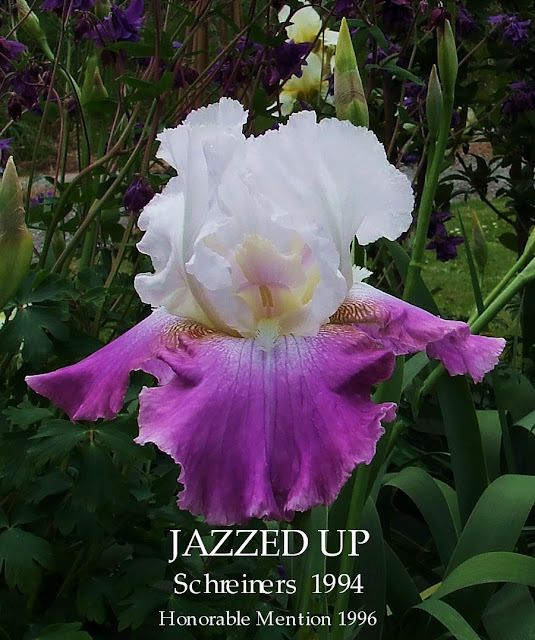 Sure enough I found a listing in Waimate Iris Garden catalogue from the days when they sold Border Bearded Iris which to be honest was the last place I expected to see it catalogued as Waimate always had very conservative tastes in their offerings, but finding the listing confirmed it did come to New Zealand. After reading Perry Dyer's description (below) which mentioned the purple-based foliage did certainly clinched the ID. I am over the moon to have this brilliantly loud re-blooming addition now growing in my garden and man can it grow, its only been growing here for 16 or so weeks and its growth has been very impressive!!!! Longs Gardens, Boulder, Colorado. 1991 Colorado Creations. One of the most fun irises in Texas was the new BB, TINK (Durrance 1991), colorful, with an innovative combination of colors. Standards are pink lemonade pink; falls are amber with yellow in the center (very much like a burnished ‘Tulare’ (Hamblen) in color and shape). Bright orange beards. Looked like 2 different flowers had been dissected and glued together – we’ve never seen a color combo like this before. But it works, and I’m hooked! Simple, thin stalks with 2 branches, double socketed. Beautiful purple-based foliage with the vigor and health of ‘Tulare’. Watch for this one! TINK John Durrance, Reg 1991 Sdlg. D86-2. BB, 26" (65 cm), EM ; S. lavender; F. gold; beards gold orange. Little Susie X Tinker-Tam. Long 1991. HM 1993, AM 1997 . It's important to remember with re-blooming irises that these irises are doing two seasons growth every year so after the first flush of blooms you need to feed them generously and then keep the water up to them through the summer season and all through to Autumn if you can. This is necessary to be sure of a good display the following spring. Reproduction in whole or in part of this photo without the expressed written permission of Terry Johnson is strictly prohibited. Photo credit and copyright Terry Johnson and Heritage Irises ©. Standard Dwarf Bearded Iris 'Irwell Grace' flowering for me today. Standards painted a bright blended salmon pink that compliment the apricot melon falls that have a burgundy brown wash on the edge of the hafts which continues in lighter tones around the edge of the falls. Brilliant light blue beards heavily tipped a luminous red tangerine. Two or three well sized flowers per stem and a sweet light perfume. The form is impeccable and 'Irwell Grace' will quickly become a garden favourite no matter who's garden it grows in. By the looks of things Jean Stevens 'Forest Glade' will be next maybe tomorrow. Both these irises are growing in terracotta pots so are early compared to the garden growers. 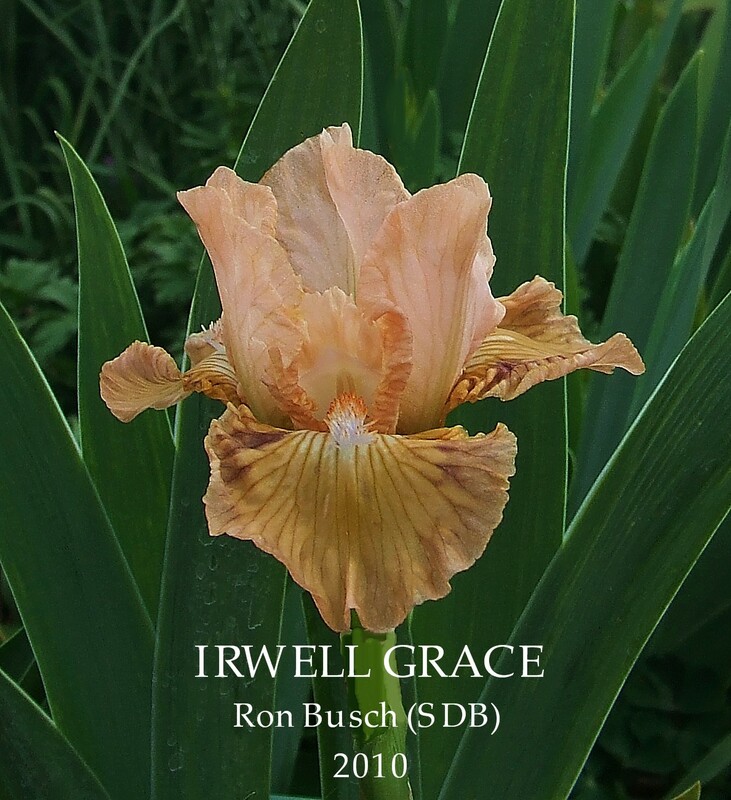 IRWELL GRACE Ron Busch, Reg. 2010 Sdlg. 1-952. SDB, 12" (30 cm), M S. bright pink; style arms pink; F. pink washed cream; beards tangerine. Parentage unknown. 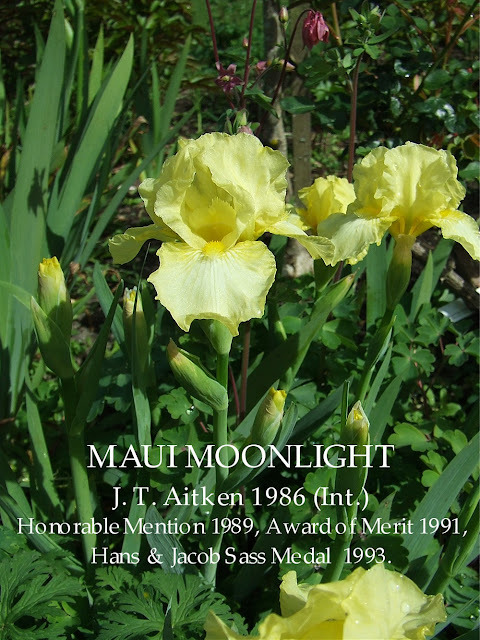 An Iris to look out for this bloom season is Terry Aitkens 1986 Intermediate Iris 'Maui Moonlight'. This iris is a tough little beauty that has great plant health and takes no time at all to form a large robust clump. Lemon standards, with nicely ruffled and well proportioned lemon horizontal falls. It's great branching is just how it should be for all intermediate irises, couple this with multiple flowering rhizomes that have 2 or 3 stems per rhizome, producing a very bright and clean lemon effect when viewed as a clump. A big favourite in our garden. Everything about this lightly ruffled iris is lemon : the beards, and the scent. Height : 58cm (23") Bloom; Midseason. Parentage Lemon Rings X Dream Affair. Hans and Jacob Sass Medal 1993. I’ve usually got my ear to the ground and know what’s coming up, but I sure missed a beat on MAUI MOONLIGHT (Aitken 1987, IB) and didn’t get it the first couple of years it was on the market. The description is rather uneventful – a smooth light yellow self. But to grow it is a rewarding gardening experience. Perfect proportions, with wide, compactly formed flowers with just a hint of gentle waving, on 20-24” stalks that have exceptional branching, well positioned, with well-timed buds and flawless plant habits. MAUI MOONLIGHT J. T. Aitken, Reg. 1986 Sdlg. 82M22. IB, 23" (58 cm), M ; Lightly ruffled bright lemon yellow. Lemon Rings X Dream Affair. Aitken's Salmon Creek Garden 1987. HM 1989, AM 1991, Sass Medal 1993. Sold in New Zealand by Richmond Iris Garden in Nelson and Kiwi Iris Delights in Auckland (all links above in New Zealand Iris Growers) . Flowering in Auckland yesterday, this stunning Iris is the first iris bloom of the season from the Ron Busch incredible legacy he left behind. It's aptly named as the bloom has a transparency and the stirations have the colour tone that echo the perennial 'Lunaria annua' more commonly known in this part of the world as 'Honesty'. Carol Rogerson of 'Kiwi Iris Delights' has a great collection of Ron's Irises sent me the photo and describes this stunning little wonder as "Very pretty, to me looks a bit like a silk painting with blends of blues, purples and lemon. 'Irwell Honesty' increases well, another very sturdy little one, spicy fragrance. Lightning up here, today is dreadful, managed to get this shot in between hail and thunder." 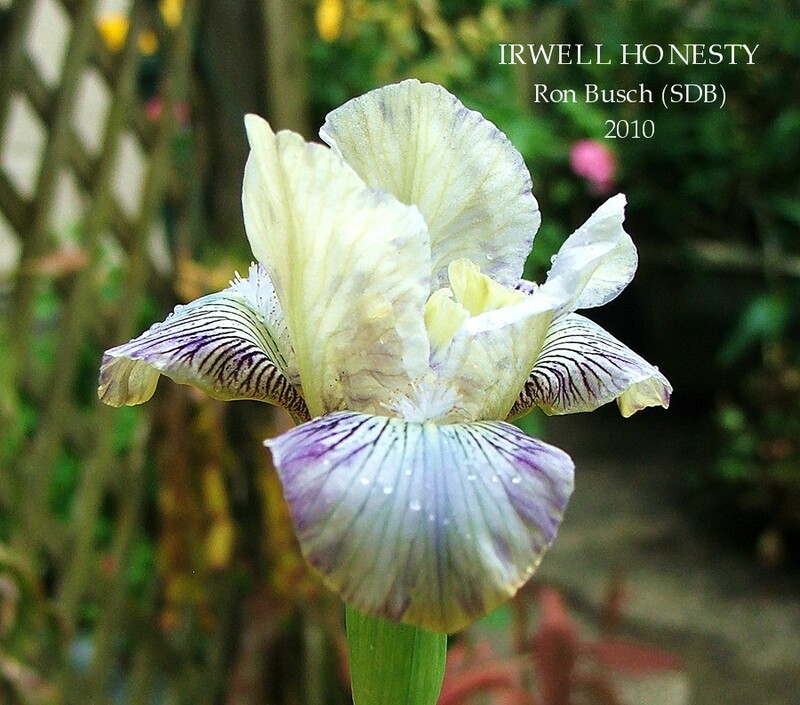 IRWELL HONESTY Ron Busch, Reg., 2010. Sdlg. 3-947. SDB, 12" (30 cm), E. S. pink washed violet; style arms lemon; F. blue washed gold, edged gold, veined wine-red around beard; beards orange, violet at end. Parentage unknown. A 'Huge Hat tip' to Carol Rogerson for the use of her photo and for her candid comments. When groups of Irises emerge with characteristics sufficiently different from those that have gone before, the subject of a classification that is determined by a time line needs to be addressed. When I first began collecting irises it seemed to me that the plants I was collecting from around the old buildings and period houses in New Zealand were 'historic irises', they have blooms that have a certain tailored look with a vintage style that is mostly lost in irises of more recent origin. I then started collecting the irises of Jean Stevens which was a neat fit with my 'Historic Iris collection'. But there is growing problem with the classification that 'ALL Irises introduced over 30 years ago are considered Historic Irises', as this includes Irises from the 60's, 70's and now a few from the 80's, most of these just don't have that historic 'look'. Almost all of these irises visually are 'Modern Irises' in shape, style and form and each year more irises (650+ next year alone) with that modern look are classified as 'Historic'. This will become a very big branding problem as each year passes and as there are almost 7,000 irises that were registered in the 1980's you can bet this problem is not going to go away anytime soon. There was a suggested determination (which I agree with) of a dividing line between historic and antique irises published by 'The Historic Iris Society' in their publication 'ROOTS', Spring 1989, when Phil Edinger in answer to a question suggested "You asked about a dividing line between historical and antique. I would say 1930 ought to be it. By that year (but just by then) all modern colors and patterns (save for Progenitor-type dominant bicolors and luminata) were present at the 4N level. 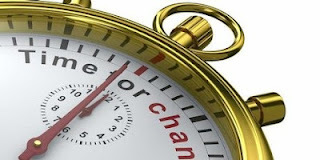 From then on it was a matter of refinement." I have heard there has been discussions around the traps on the designation of what constitutes 'a historic iris' but no outcome, so you would have to think there must be a committee involved, but it is starting to get beyond a joke if it ever was funny. From a personal standpoint, new thirty year old irises are old enough to deserve collecting and preserving yet new enough in style of the bloom to be regarded as modern but now they have turned thirty a 'historic iris' label is attached to them which is a confusing classification. This could simply be sorted by having three age-related classifications 'Antique', 'Historical' and 'Classic Collectables', and I see the dividing line drawn where styles dramatically changed from an old-fashioned look toward modern appeal. 'Antique' as Phil Edinger suggested up until 1930 (1929 Checklist), 'Historical' 1930-1959 checklist, and finally 'Classic Collectables' 1960 checklist onwards (must be a least thirty years old). LACED COTTON, GLACIER, HENRY SHAW, and CABARET ROYALE are a few of the irises that I have featured on my blog and these are good examples of highlighting the real problem when you classify a iris as 'historic' but visually these irises do not look different to any Modern Tall Bearded Iris. Not 100% sure what history will make of some of the latest Irises with form like ..Tom Johnson's 'Genealogy' or George Sutton's 'Doctor Who'................. you know, tall bearded irises with the standards that look like a punk rockers multicoloured Mohawk haircut slapped on top of rounded falls that look like a Southern Belle's ball gown giving a truly unbalanced look and to be honest I'm not a great fan of, but you never know perhaps in thirty years time we will eventually get a new classification of 'Historic Quirky Styled Bling'. If we apply the old Chinese proverb 'A picture paints a thousand words' then most of the burgeoning catalogues of digital photos of so called 'Historic Irises' from the 60's, 70's and the few so far from the 80's will just continuously reinforce the growing confused message regarding 'historic's' especially with that very important group known as the gardening public. My collection nowadays is not so narrowly focused and includes irises from all vintages. Yes, my hunch was correct there was a committee involved it was known as 'Historic Change Designation Committee' but the committee was unable to come to a consensus on making any changes so 'the current practice of designating iris introduced 30 years or longer to be historic will stand'. Ground breaking huh?? So what to do? 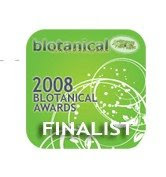 I think I will just ignore the Historic Classification and start one of my own, I'm just not prepared to be just a nodding nincompoop and go along with something that is causing mass confusion with the Gardening public. As recently as yesterday I was talking to a lady who just loves Irises about the variety 'Afternoon Delight' and I said to her 'you know that's going to be a Historic Iris next year' and she just would not believe me. Now just how different would that conversation have been if I had told her that her beloved 'Afternoon Delight' was a Classic Tall Bearded Iris?? Reproduction in whole or in part of this post, its opinions or its images without the expressed written permission of Terry Johnson is strictly prohibited. Copyright Terry Johnson and Heritage Irises ©. This rose pink amoena grows very tall. Growing at home the white standards are not immaculate as Schreiners catalogue description states and generally are always flushed a pleasant light orchid tone. The brown toned veins on the fall halfs detract the eye from the overall colour balance. This iris has undoubted carrying power in the garden but is best viewed at a distance, so I found it a home at the back of the border. Good plant health and strong stems that grip the very large slightly ruffled blooms. For those interested in breeding it's fertile both ways. JAZZED UP (Schreiners 1994) ML. 42"
Jazzed Up's exceptionally tall stems have two strong branches with 8-9 buds. The large 4 1/2" x 6 1/2" flowers have both heavy substance and superb gently ruffled form. This rose amoena's immaculate white standards are gracefully arched and pleasantly complement the wide rosy lavender falls. JAZZED UP Schreiner, Reg. 1994 Sdlg. AA 1462-1. TB, 42" (107 cm), ML. S. white (RHS 155D); F. rosy lavender (80C); beards white; lightly ruffled. S 269-O: ('Mill Valley' x I 686-1: (E 242-A: ('Lilac Champagne' sdlg. x (('Alpenrose' x 'Whole Cloth') x 'Cashmere')) x 'Breaking Dawn')) X 'Lullaby Of Spring'. Schreiner 1994. Honorable Mention 1996. Still commercially grown in New Zealand.